25 measurements including your posture and shoulder slope are taken by a professionally trained clothing consultant to ensure perfect balance and fit. Your body is unique, so we will style the clothing to fit your body type. A suit that is right for you, not altered to almost fit you. Hundreds of fabrics from the worlds best cloth mills ensure that you find exactly what you are looking for, in a fabric that will perform well for its intended use. 90% of our fabrics are sold only one time, then, retired so that your garment will be unique. A paper pattern with your measurements is kept on file as a template for reorders. Preselecting your fabrics for the coming season and comparing them with your past purchases, avoids duplication in your wardrobe. Shopping is quick & efficient. Appointments in our showroom, your office or home for fabric selection are available. 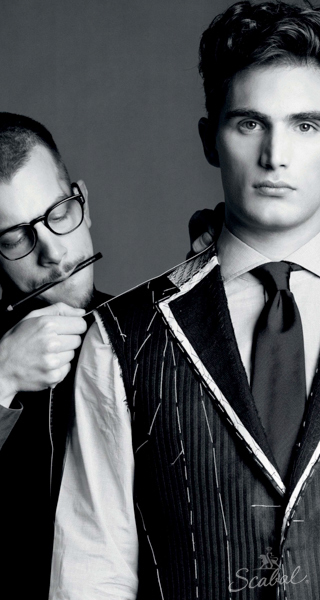 A professional tailor is always on staff for alterations. With ready to wear brand name suits starting at $2000, many of our customers found that they were actually paying more than custom, which did not make sense. A mass produced garment that is minimally altered by a tailor to fit you as close as is possibly allowed given its construction. A ready-to-wear stock garment that is styled and altered in the factory to fit you as close as possible. This garment requires multiple measurements that are transferred to a paper pattern creating a personal template for that individual. A choice of multiple styles and hundreds of fabrics make it a truly individual garment that will be rarely duplicated for anyone else. Jacket fronts, buttonholes, edges, linings are all hand finished. Jacket fronts, buttonholes, edges, linings are all machine finished. This garment is typically made by two or three tailors working together to produce a truly handmade garment. 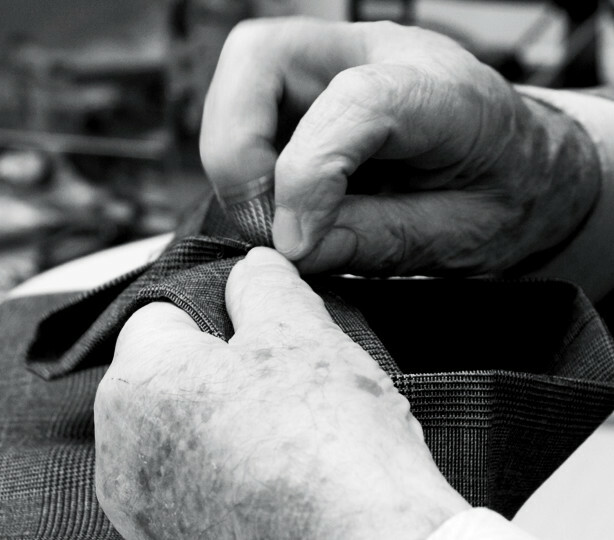 A technique favored by many Savile Row tailors it requires multiple fittings before completion. The cost has made this method almost obsolete, but can still be found in London, Italy and Asia. Jacket fronts, buttonholes, edges, linings are all hand finished. A term introduced by the media to encompass any clothing that is either made-to-measure or custom made. Are you trained to correctly measure and fit me? Are your suits fused (glued)? Are your suits made-to-measure or custom made? Do you make a paper pattern for me? Can I have a basted try-on (a partially finished garment) for my first fitting? Can I have a choice of any style, interior linings and buttons? If I lose a significant amount of weight (20 lbs. or more) can your tailor alter it?